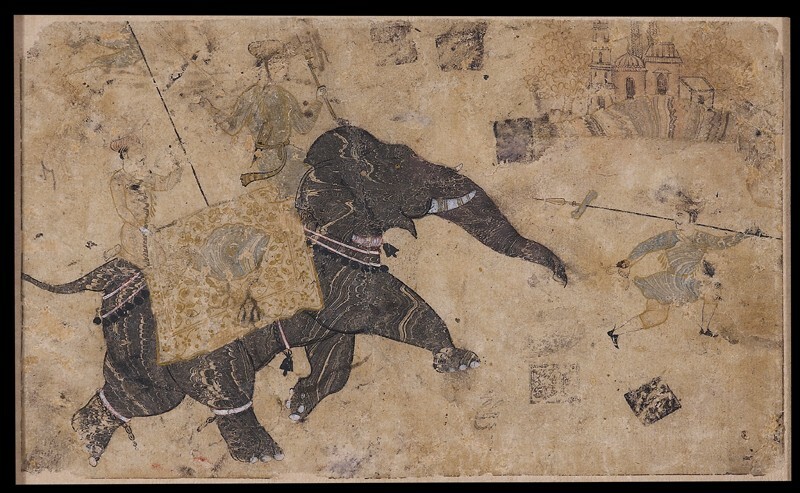 A young prince rides a briskly trotting elephant, accompanied by attendants. 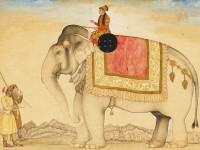 The body of the elephant and several other areas have been dexterously marbled. Marbling effects are produced by swirling together pigments suspended in oil on a surface of water, then transferring these aqueous patterns to a paper surface.